Earnings HQ: FBN’s Adam Shapiro breaks down IBM’s second-quarter earnings report. 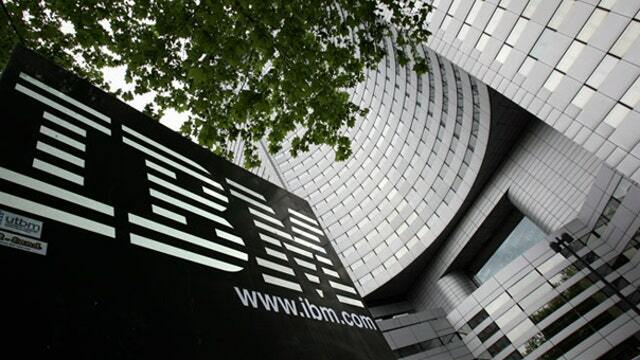 IBM (NYSE:IBM) revealed second-quarter earnings results that topped analysts’ expectations on both lines. Revenues for the quarter came in at $24.4 billion, which topped expectations of $24.1 billion, but still came in 2% lower from the same quarter in 2013. “In the second quarter, we made further progress on our transformation. We performed well in our strategic imperatives around cloud, big data and analytics, security and mobile," Ginni Rometty, IBM chairman, president and chief executive officer said in a statement. Despite the drop, Rometty told shareholders the company will continue to leverage its strengths to address the rapidly-expanding technology space and transition Big Blue for a better long-term growth. Net income for the quarter climbed 28% to $4.1 billion. The tech giant also revealed adjusted profits per share of $4.32, three cents higher than what Wall Street analysts were forecasting. In what used to be one of the biggest money makers, IBM’s systems and technology unit saw a double-digit loss of 11.4%in the second quarter as demand for mainfraims falls. The company saw declines in other divisions as well including a 1.6% drop in its global business services unit. But where the blue-chip technology company sees losses, others of its divisions see growth. As demand for hardware wanes, the company is seeing growth in other divisions like software, which saw a 1% pick-up in the quarter, and in global financing, which great 3.5% in 2Q, as IBM looks to be increasingly competitive in the cloud and mobile spaces. The Dow component’s shares recently fell 0.25% in choppy, extended trading.